Ok guys, we are bringing something interesting here. As you can see we already have number of developers that are answering to international community and I have the honor to present you Vyacheslav Bulannikov, lead tank developer. He agreed to step in and answer to some of your questions. As his written English is not the best we agreed to keep his answers in Russian which you can Google translate, we will try to help and I presume some nice members of our community who speak both English and Russian will step in if needed. Any communication is better than no communication and I hope you all will appreciate opportunity to talk with BVV. This Q&A will be done in a bit different form. Thread will be opened tomorrow 19th January at 12:00 GMT and will be closed at 20th January 12:00 GMT. Once closed BVV will have time to answer and once he is happy with answers we will schedule next thread opening. BVV is extremely busy and he cannot even answer all questions on Russian forum so to make it simple we will limit number of questions to ONLY ONE. If more that one question is asked post can be hidden or simply not answered. So please ask only one question only to make our and BVVs job easier. Let's call it trial tun and see how it goes. Next opening th June 8GMT, thread will close 8GMT on th. From now on every post with more than two questions will be removed or simply not answered so be careful when asking questions!!! Всем, привет, буду рад ответить на ваши вопросы. Interests:War Thunder, World of Warships, military history and anime. Thanks for making those Q&A for us. 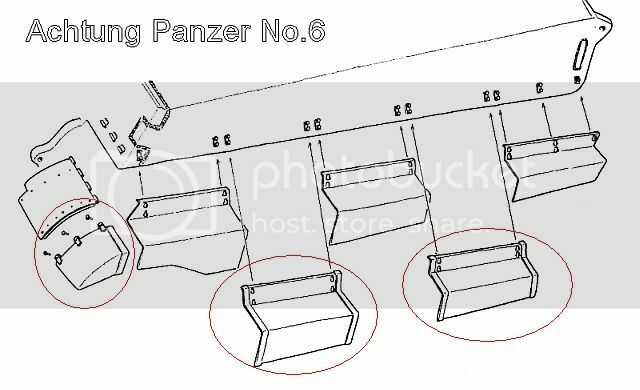 Are you planning to add the Panzer II Aufs. L "Luchs" in the future? На русском писать не обязательно, гугл переводчик он такой переводчик :). Можно сразу на английском. Читать я могу бегло, а вот писать нет. Q: I think it's important to test how american tank teams perform when they are not mixed with Russian teams in simulator and realisitc modes. Are there plans to let pure US teams fight both German and Russian teams? Я думаю, что это важно, чтобы проверить, как американский команды бак выполнить, когда они не смешиваются с российскими командами в тренажере и realisitc режимах. Есть планирует выпустить чистые команды США бороться немецких и российских команд? I wonder whether this is decipherable, ha. Can we get the self-propelled anti-air gun variants of BTR-152? Да, я думаю мы попробуем и такой режим. Только нужно понимать. что игроков на танках США пока меньше чем на танках других наций, поэтому такие бои будут реже чем смешанные или чем пара стран против одной. Can we get the spaag variants of BTR-152? Можем ли мы получить варианты Самоходная анти-пневматический пистолет БТР-152? П.С. гугл отлично перевел SPAAG :Ds . Any chance to see the Sd.Kfz234 ? If yes, Anytime soon or do we have to wait ? 1. what made you add the new event simulator mode? was it a long term plan? for how long can we expect it to be there? Are we going to see different ground - mud, snow, etc. - implemented in a way that will affect a tank's speed and handling accordingly? Google: Мы собираемся , чтобы увидеть другую землю - грязь, снег и т.п. - реализована таким образом, что влияет на скоростьтанка и обработку соответственно? Hello, thanks for being here. Its basically one question, please dont hide. Привет, спасибо за то, здесь. When rank 4 american premium tank will come out? Когда Оценка 4 американских премии бак выйдет? Since puma was passed to development, has the work begun on it ? 1st Are you going to add HD textures of terrain. 2nd Do you guys want to change the actual ricochet and penetrations system? and 3rd. there will be more customisations options - for example removing side fenders of King Tiger? how exactly do ricochet mechanics work or in other words, what are the ricochet chances at 30° based on (equations, formulas, sources)? как именно рикошет механика работать или, другими словами, каковы рикошет шансы на 30 °, основанных на (уравнений, формул, источников)? Hello BVV. Thank you for this opportunity. When are the British and Japanese tank? Привет БВВ. Спасибо за эту возможность. Когда происходят британский и японский танк? 1.Has the Kanonenjagdpanzer a chance?. 2. are you planning to add the more Marder like German SPGs like the Nashorn, Sturer Emil or Dicker Max? 3. will you be able to put camo nets ore something like that on your tank? 4. What is the state of the Building damage System? 1. имеет Kanonenjagdpanzer шанс ?. 2. Вы планируете добавить больше Мардер, как немецкие САУ, как Насхорн, Sturer Emil или Dicker Max? 3. Вы будете иметь возможность поставить Камо сети или что-то подобное на вашем баке? 4. Что такое состояние система повреждений здания? With the introduction of the T-62 and the Leopard A1, will other MBT's be introduced such as the T-64A, Chieftain Mk2 and the M60A1? Thanks.